Sprint Filter P08 is our standard performance air filter, ideal for street legal use or have a funny track day with a tuned car. 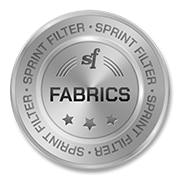 An independent testing carried out by University of Wales Trinity St David, Sprint Filter's P08 polyester tissue, the "standard" tissue found in Sprint Filter replacement air filters, provided the best airflow of any leading brand air filter, including leading brand "race" filters. 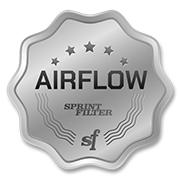 Sprint Filter P08 uses a special polyester filtering media with a wire diameter of only 70 microns. 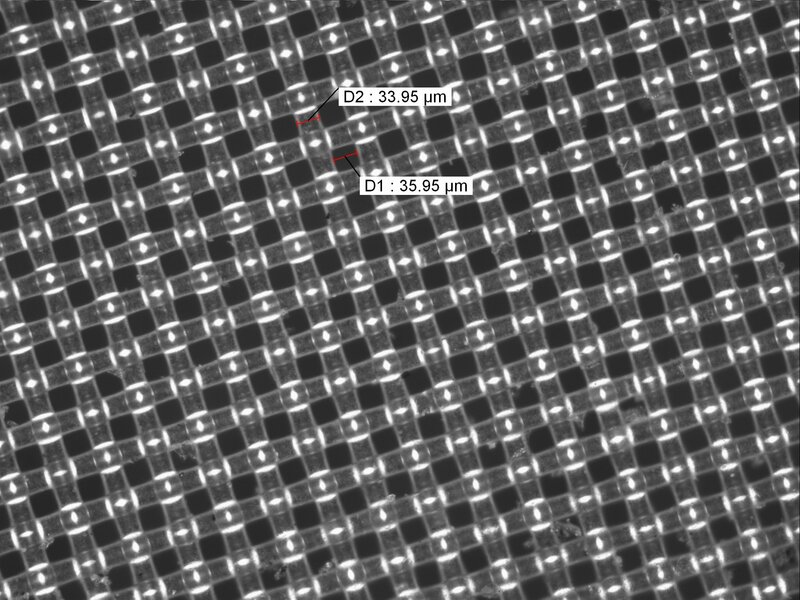 Its unique weave pattern can filter debris as small as 80 microns while having the highest permeability for any other air filter brand on the market (our P08F1-85 excluded). The increased airflow of the P08 air filter will help maximize your car power potential while offering excellent filtration protection. To clean your Sprint Filter P08, simply remove the filter from the airbox, blow it clean with compressed air, and reinsert it. No messy washing, aftermarket cleaners or oil treatments required, saving you valuable time and money! Being manmade, the P08's polyester material will, if properly looked after, display no discernible deterioration or loss of structure or performance over the lifetime of your car. 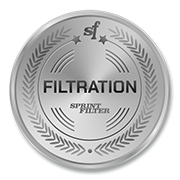 With over than 65 years of experience in producing air filters, and success at the highest levels of competition, you can be confident in the quality of materials and manufacture of your Sprint Filter P08 air filter. 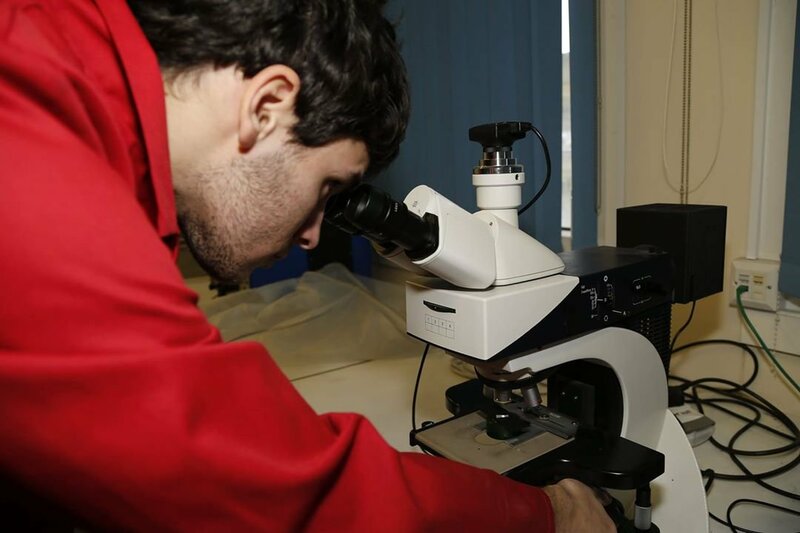 An independent testing carried out by University of Wales - Trinity St David (https://issuu.com/…/air-filter-element-flow-analysis_wa_b9b…), Sprint Filter's P08 polyester tissue, the "standard" road / race tissue found in Sprint Filter replacement air filters, provided the best airflow of any leading brand filter, including leading brand "race" filters. To clean your Sprint Filter P08 air filter, simply remove the filter from the airbox, blow it clean with compressed air, and reinsert it. No messy washing, aftermarket cleaners or oil treatments required, saving you valuable time and money! Being man-made, the P08's polyester material will, if properly looked after, display no discernible deterioration or loss of structure or performance over the lifetime of your bike. 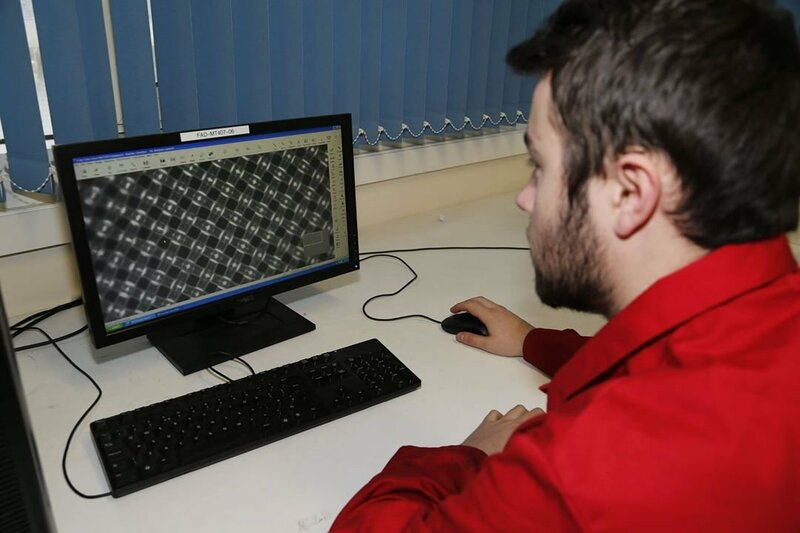 With over than 65 years of experience in producing air filters, and success at the highest levels of competition (including MotoGP, Moto3 and World SBK), you can be confident in the quality of materials and manufacture of your Sprint Filter P08 air filter. So Sprint Filter P08 air filter is suitable for the widest variety of conditions and is the ideal choice for anyone requiring maximum intake protection combined with superior airflow, longevity and ease of maintenance. The common performances air filters are composed of cotton yarn very large, the Sprint Filter polyester air filters instead consist of much smaller yarns and calibrated. 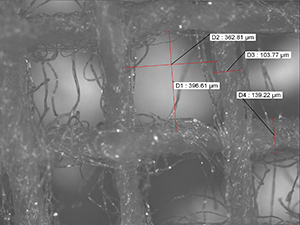 Thanks to this type of construction the Sprint Filter polyester fabric allows a better filtration combined with a good air permeability, as shown by tests performed. 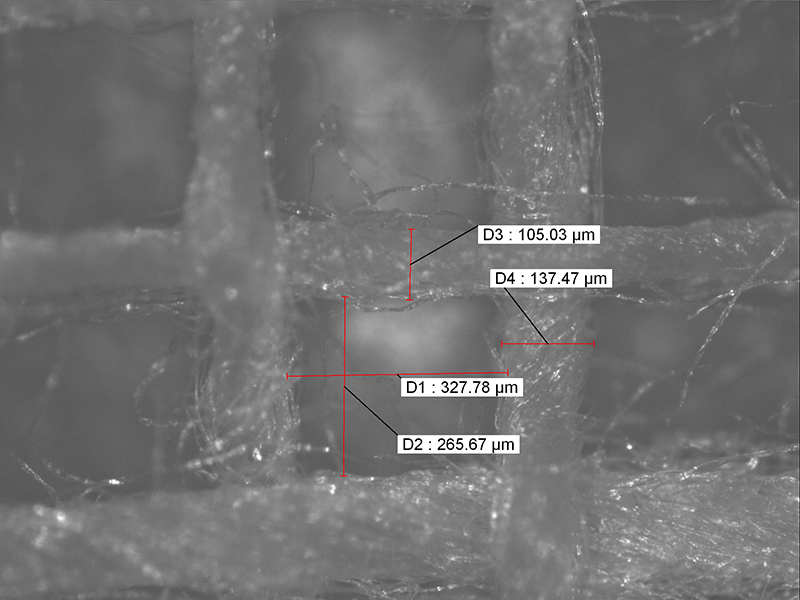 It is necessary say that as regards the cotton fabric results obtained were not constant, this is due to the weak structure and mobile of cotton gauze, the following data are, however, best obtained. With respect to the polyester fabric data have remained constant and precise. 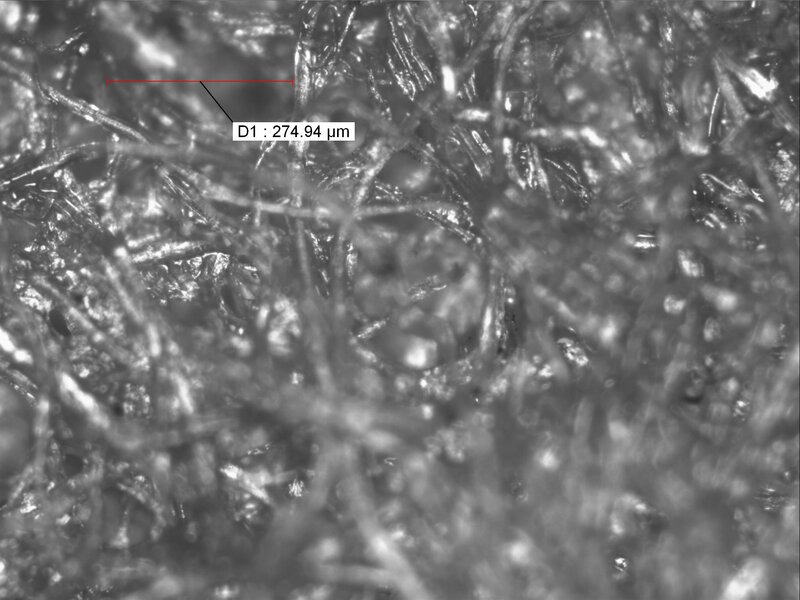 The uniform and compact polyester filtering element consists of a thin filament of fabric, forming a mesh of several dozen microns, capable of trapping all significant particles and ensuring a very high air flow rate. Our polyester air filter guarantees a very high air flow that neither cotton filters nor OEM paper filters can achieve. Remember this simple equation: More Air = More Power! 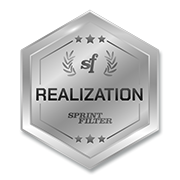 Sprint Filter creates over 65 years innovative products made with the most sophisticated and technologically advanced materials: from aluminum, steel, and then move on to materials in polyurethane foams to get to plastics all kinds of fine carbon and kevlar. 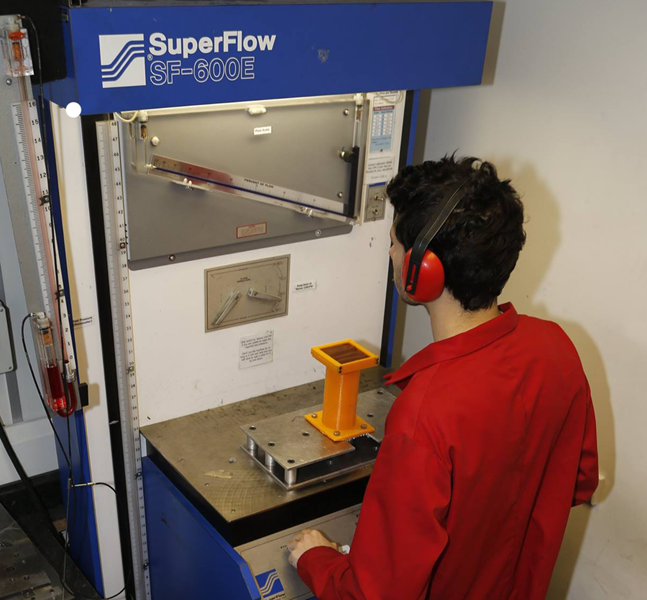 The entire process of manufacturing our products is done internally with sophisticated equipment design and production: designed with advanced three-dimensional cad-cam our filters and extraction systems are built using molds developed with numerical control machines and realizzatiinfine with modern machinery for molding plastics and dispensing of polyurethane.